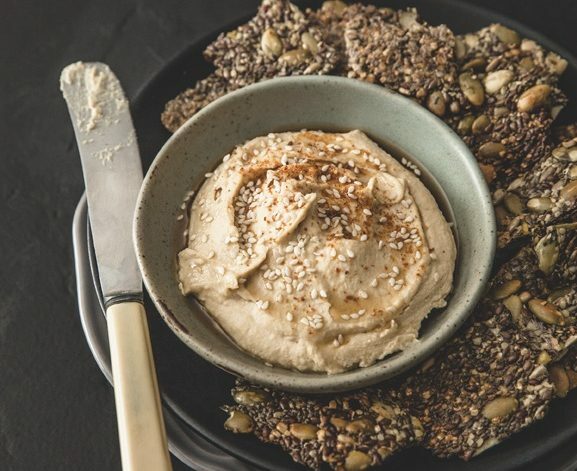 We find that store-bought hummus is usually a big disappointment — over-salted, a little too coarse, has added oils and never worth the price tag. With that, it just makes sense to make hummus at home! This basic chickpea hummus recipe is one to have on hand because of it’s versatility. 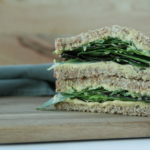 It can be used as a dip for vegetables, served with seedy crackers or sprouted bread; also use it as a spread for sandwiches and collard wraps. Its richness and moisture make it a great substitute for mayo or cheese. We promise, once you make your first batch of homemade hummus, you’ll never go back to store bought. Experience the authentic taste of real hummus. This recipe combines all of the good stuff and none of the bad stuff. Perfect option for entertaining a crowd or for weekly meal prepping! It is quick to prepare and requires no cooking. Rinse the chickpeas in cold water and add them to a food processor. Place all of the remaining ingredients in a food processor and blend until smooth. 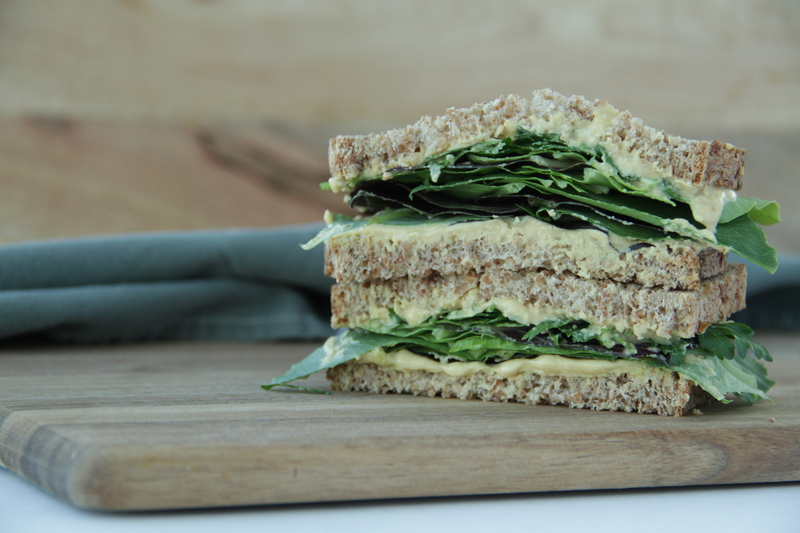 Use a high-quality 100% raw sesame tahini. It should be light in colour and pourable, you will find the best ones in oriental supermarkets or health-food stores. If you’re into making your own healthy and nutritious dips, you might really enjoy our Protein Guacamole, Fresh Herb Walnut Pate,, Kale & Hemp Hummus, Cashew Spinach Dip or Edamame Hummus !